Govoni Land Services is and environmentally friendly tree service in Boston, MA that works to meet your needs and recycle any removed materials to achieve the best results. With professional equipment and highly trained operators, they are able to complete a variety of jobs from removing trees and grinding stumps to tree cutting and more. You can trust that this company will get the job done and will do so in the safest fashion without leaving you with a mess when they have completed the project. When you would like to hire a company that approaches projects and issues in a safe and practical manner, while also ensure the job is done efficiently, you need to hire the team at General Landscape Corporation. 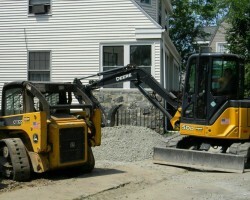 This company offers services that range from landscape development to Boston tree removal and even plant health care. Looking after your entire property is what this company does best. They will get the job done quickly and leave you with a beautiful and healthy landscape when they are done. 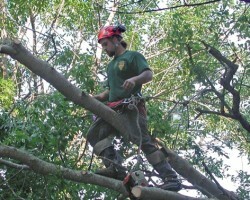 Boston Tree Service is a tree pruning contractors that you can rely on to make your property look healthy and beautiful. This company offers everything from tree hazard evaluations to health assessments and structural pruning in combination to achieve the best results. For relatively cheap prices, you can hire this team to address your landscaping needs at a commercial or residential property. Reviews of the service cannot say enough about the skill of the technicians and the quality of their work. 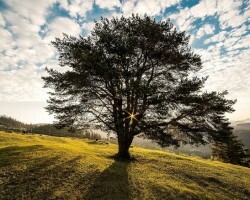 Pathfinder Tree Service, LLC is a local tree trimming service that offers all of the tree care you could possibly need. Whether you would like to have the branches shaped nicely or would like a stump grinded down, this team has the equipment and the skills to do it all. They will listen to your needs and then work to make sure they have the right equipment and a plan to address the project efficiently. Drawing on their years of experience, they will make sure they present you with the most affordable solution too. 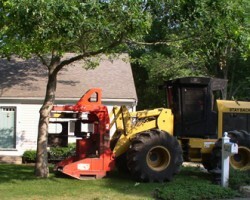 G. Bourne Knowles & Company Inc.
G. Bourne Knowles & Company Inc. is one of the most experienced tree care companies in Massachusetts. This service has been helping residents in the area to have the best looking and healthiest properties since 1961. 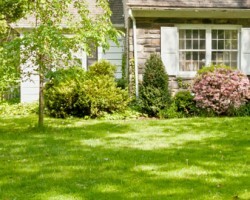 Using the latest techniques and the safest practices, this team is easily able to come up with a plan to address your landscaping needs. This means that they will work quickly to get the job done and will be able to have you enjoying their work sooner.